In the wake of her Duchess-shaming drama, Keira Knightley’s sticking to much safer discussion points these days. Like banning Disney movies! Ooof. Keira – who is set to hit screens in the new film Colette very soon – popped up on Ellen’s show this week and the chatter turned to favourite childhood films. The mum-of-one says she will not let her three-year-old daughter Edie watch a couple of movies in particular mostly because they portray some questionable dynamics. One of Keira’s very favourite Disney films is also on the no-watch list. Some unspoken pressure from Ellen prompted Keira to reveal the Disney faves that are welcome at Keira’s place. Finding Dory “is a big favourite in our house,” Knightley confirmed (and as we know, Ellen stars in Finding Nemo AND Finding Dory). “Frozen is huge and Moana is totally fine,” she continued. “There are some good ones, but mainly Dory,” Ellen chimed in. Say no to Snow White, too! While Keira’s copping a lot of flack on social media over her rejection of some Disney films, she’s not the only celebrity to raise questions about the messaging in the media kids are exposed to. Kristen Bell recently pointed out that many favourite childhood storybooks are loaded with regrettable narratives. “Every time we close Snow White I look at my girls and ask, ‘Don’t you think it’s weird that Snow White didn’t ask the old witch why she needed to eat the apple? Or where she got that apple?’” Kristen told Parents Magazine recently. Dentist, lion, actor oh my! But let’s get back to Keira … Later in the segment, Ellen asked her what Edie might want to be when she grows up, the response was surprising. Things have shifted a little since then, Keira admitted. 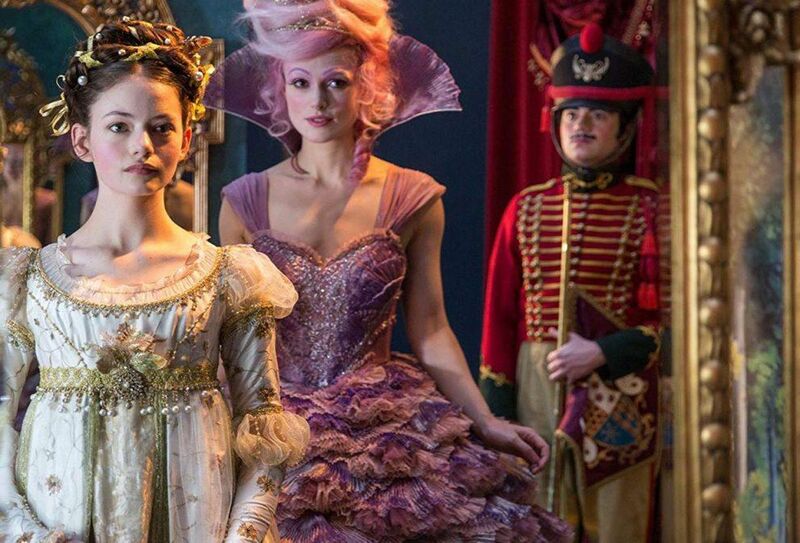 Keira is also about to turn up on big screens in the festive The Nutcracker and the Four Realms as the Sugar Plum Fairy. Her character features fairy floss hair and a glitter-sprinkled frock. This came with its own relatable challenges, Keira admits. “We shot it almost two years ago and I think I’ve still got glitter in my house. It’s impossible to get off. It’s a disaster, and I was covered in it for about four months while we were making the film,” she told Ellen.